Make cleaning your rifle even easier with the Wheeler Delta Series Star Chamber Cleaning Pads. 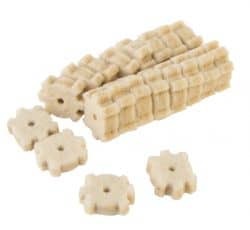 These pads are made of compressed wool and are specifically die-cut to fit into a star chamber. This case comes in a 20 pack and includes an 8-32 threaded end to secure the pad to the cleaning rod.